@Liam. sells proxies think it was at $2.30 each. Summer 2016 as far as i know. Im currently watching Arrow back from season 1 to 4 . Loved it, can't wait for season 2! Prepare to get confused. Where are the hardstyle lovers? There must be more people listening to Hardstyle on this forum, especially the Dutchies. My guess is, your breaks are overlapping. You have a break set at 27 minutes for 1h 40m and one at 47minutes for 45min. All your breaks are close to eachother, spread the times with a larger randomization on repeat. Someone in a other topic about this said this aswell but look at the timestamps... Also why are u talking about 200mil in the tribot PM if your selling 40mil? And also, if you got scammed... why did u wait 2 days before posting this? I expect that's just the profit from Ores. 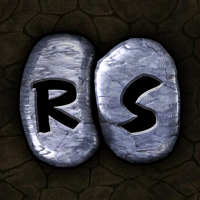 http://2007.runescape.wikia.com/wiki/Motherlode_Mine In that post are the estimates per hour from level 30 to 99. The estimates are from 2014 though but that gives u some info. Yep, i mean your buying limits, if you don't have the right limits it will keep offers up in the GE even though u have already hit the limit, which will result in a lower GP/H because that cash will just be sitting there. I think most people have full AI Controls set. To get a better GP/H play around with your item list and use the correct item limits.